Many changes that occur as we age may not be preventable. One common issue among senior adults–hearing loss–isn’t among these. Many seniors and their loved ones have come to believe that some hearing loss is inevitable. 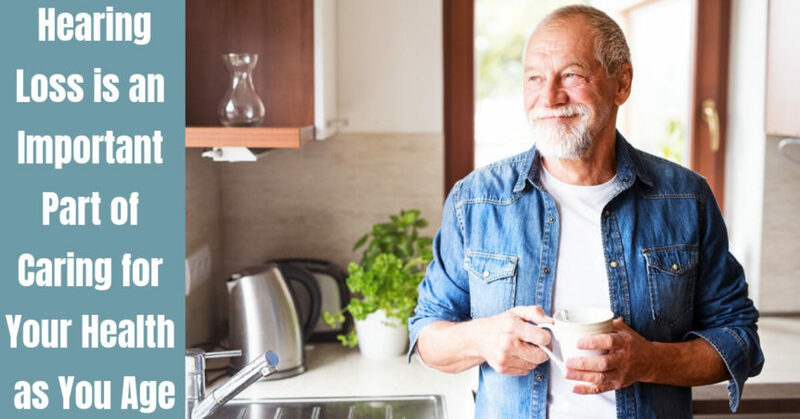 While gradual hearing loss is not uncommon, especially after age 65, there are precautions we can take while younger to ward off the severity of hearing loss. The National Institutes of Health estimate one third of people in the U.S. between the ages of 65 and 75 deal with some hearing loss, and about one half of those older than 75 have some trouble hearing a normal range of sounds. About 40% of the 20 million Americans who have hearing loss are 65 or older. When sound waves reach the structures of the inner ear, they cause vibrations at the eardrum before traveling through the cochlea. Attached to nerve cells within the cochlea are thousands of tiny hairs that help translate these vibrations into electrical signals that are transmitted to the brain. Sensorineural hearing loss is the most common form of hearing loss and is caused by a loss of the tiny hair cells that act as sound receptors. Presbycusis, or age-related hearing loss, occurs naturally with age, is one common form of sensorineural hearing loss. The other common form is noise-induced hearing loss, which is often preventable if measures are taken to protect your hearing. Hearing loss can begin at any age. To avoid noise-induced hearing loss, prevention measures should start early and become a lifelong habit. Hearing loss also can occur from a build-up of wax in the inner ear. Earwax can block the ear canal and prevent conduction of sound waves. In some cases, this type of hearing loss can usually be restored with earwax removal. Reduce the noise around you by turning down the volume on the stereo, TV, car radio–and especially when using personal listening devices with headphones or ear buds. If you use headphones or earbuds to listen to music, don’t turn the volume up past 50%, and never exceed 80% even for a short time. Some activities that you may enjoy may be seriously hurting your ears. Snowmobiling, hunting, lawn mowers, leaf blowers, jet skis and power tools all create harmful levels of noise. Always wear ear protection when involved in these activities and sports, and especially in workplaces where prolonged exposure to loud noises is common. Many doctors recommend pre-formed or custom-molded earplugs made of plastic or rubber as one of the best ways to prevent hearing loss. Never stick a cotton swab, or other object in your ear to remove earwax or scratch your ear. During air travel, swallow and yawn frequently when the plane is landing. If you have a cold, flu, a sinus infection, or other upper respiratory illness, take a decongestant a few hours before your plane lands, or use a nasal spray right before landing. Always blow your noise gently and use both nostrils. If earwax buildup has interfered with your hearing abilities, speak to your healthcare provider about the best way to remove it. Conditions such as high blood pressure, heart disease, diabetes, atherosclerosis and other circulatory illnesses that are not treated properly can lead to hearing loss. The inner parts of the ear are sensitive and delicate so any circulation problems you have can affect your hearing. Some medications are considered ototoxic and can harm your hearing. For example, temporary effects on your hearing can occur if you take large doses of aspirin. Certain kinds of diuretics can also affect hearing. There is some evidence that supplements can prevent hearing loss, but always check with your doctor before adding supplements to your diet. Treating hearing loss is an important part of maintain your hearing health as you age. If you suspect that you or a loved one is experiencing hearing loss, get your hearing checked with us at Neighborhood Hearing Aid Center! We provide comprehensive hearing tests and hearing aid fittings. Contact us today to schedule an appointment.